Ed Taylor has been an Executive Producer for ITV Studios for two years after several years at the BBC as a Head of Development for Factual. His credits for development and/or producing include Britain’s Secret Treasures for ITV, Secret Britain for BBC 1, How to Read a Church for BBC 4 and The Hairy Bikers: Mums Know Best for BBC 2. For most of us ‘home’, wherever that may be, is the most important place in our lives. It’s where we eat, sleep, love, laugh, cry and live most of our lives – it’s where many of our nation’s greatest historical moments have been forged. This was my starting point in devising Britain’s Secret Homes – if walls could talk what tales would they tell? The natural partner for ITV in this process was English Heritage. 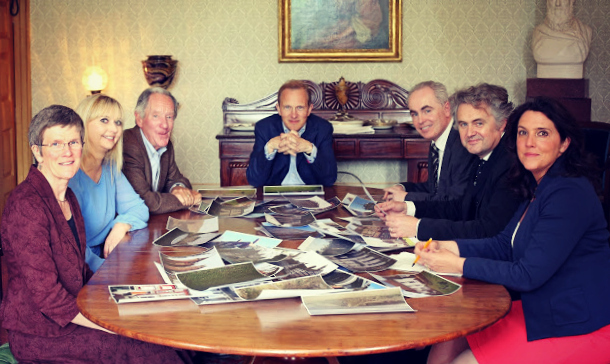 Along with contributions from the other national heritage organisations we spent many hours sifting, discussing and researching the thousands of extraordinary homes that we have in this country. Once our list was selected then the hard part really started – producing 50 complex stories to fit into five hours of prime time television using a palette of different techniques – dramatic reconstruction, CGI, archive material and the biggest challenge, finding a well known presenter for each story that had a relevance to the story being told. The criteria was very simple, as a viewer who would you really like to tell the story of each home on the list? The birthplace of lawn tennis would have to be told by a Wimbledon great, the story of a post-World War One village for returning casualties of war, by an iconic war veteran, and the home where Blake wrote Jerusalem, by one of our nation’s best poets. There were over 30 guest presenters to book. Then filming: almost 150 locations, a long distance trip to Patagonia, the creation of sets from historical periods as diverse as World War Two to 13th Century Lincoln – long days! Homes were filmed by mini-helicopters that could shoot aerials impossible from a bigger helicopter; one director fell into the sea whilst filming in the Hebrides; Kevin Whately, ITV’s Lewis, got stuck in a Glasgow airport as storms prevented planes from taking off. Greg Rusedski played tennis for us, Simon Weston met a 104 year old widow in the village of Enham Alamein and Simon Armitage sang Jerusalem at a rugby match. Once the stories were in the can the final elements were the links. 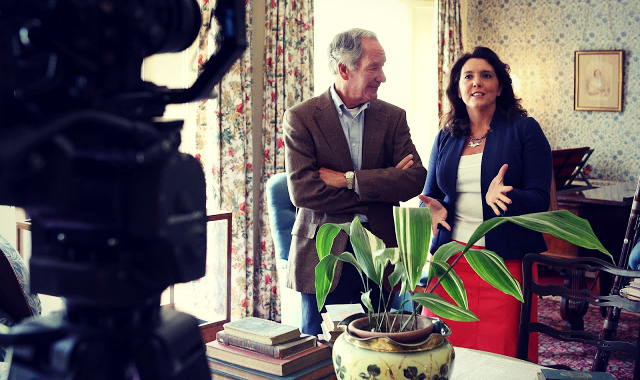 Each programme is held together by a series of links presented by Michael Buerk and Bettany Hughes at a different English Heritage house. Every day for a week the team with all their equipment set up at a different magnificent home including Dover Castle, Chiswick House and Audley End. Finally once the editing nightmares were over, that as the saying goes was that! It all happens so incredibly fast. Britain’s Secret Homes has been tough, but I hope the viewers enjoy watching it as much as I have enjoyed making it. 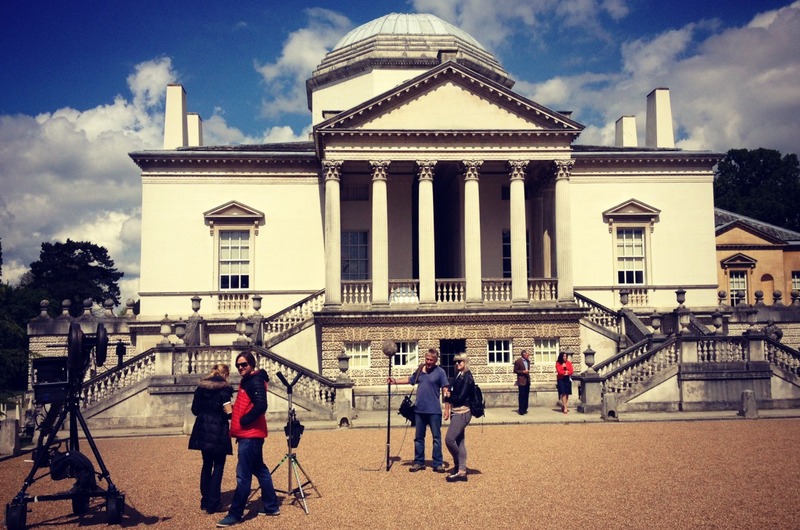 Britain’s Secret Homes is a five part series starting on Friday 7 June at 9pm on ITV1. I would like to know if Houndhill is one of the historic homes. It is the home of the Elmhirst family. This home is in Yorkshire and the family is an ancient Anglo Saxon family. Some are descendants of William the Conqueror.